Join Hampden-Sydney for Giving Day 2018! Each gift to the College on April 25th will be matched with $200 to the Hampden-Sydney Fund! Cindy and Rob Citrone '87 have offered a $200,000 challenge on Giving Day 2018. Every gift made to any fund will be matched with $200 to the Hampden-Sydney Fund (up to $200,000). Give now for a chance to win great H-SC giveaways! 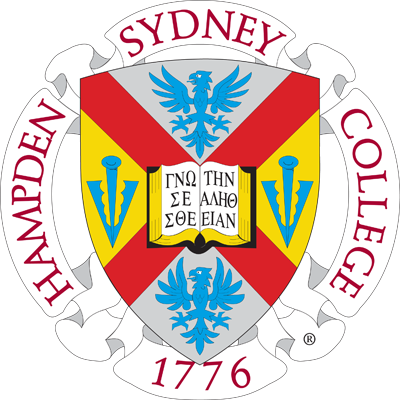 Drawing at 11 AM EST | Yeti Tumbler Set | Two Hampden-Sydney Yeti tumblers Congratulations David B. Smith '87! Drawing at 1 PM EST | Culinary Pack | A copy of Big Bad Breakfast by John Currence '87, H-SC cutting board and H-SC oven mitt Congratulations Jon Bradway '00! Drawing at 4 PM EST | T-shirt and Pullover Set | Winner's choice of H-SC t-shirt and pullover Congratulations Randy Williams '96! Drawing at 6 PM EST | H-SC Desk Set | A leather H-SC mouse pad, mini portfolio, set of pens, note cards and coffee mug Congratulations Michael Berzins '97! Drawing at 9 PM EST | Getaway Pack | H-SC beach towel, flip flops, and sun hat Congratulations Zach Shields '19! Drawing at 10 AM EST | Fly the Flag Pack | H-SC house flag, license plate frame, car magnet, car flags and tote bag Congratulations Carlyle Chandler '93! Give so the College can continue to graduate good men and good citizens which will enrich this country for years to come. Support scholarships to give young men the opportunity to attend Hampden-Sydney. Give to support the special Hampden-Sydney experience. Read about Tillmon's trip around the world in the latest issue of The Record.